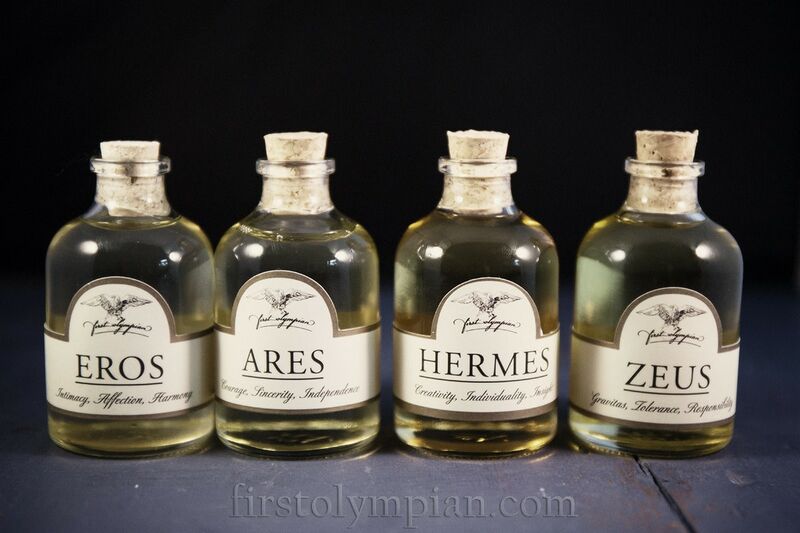 The Pantheon - all four of our Divine Beard Oils: Zeus, Hermes, Eros and Ares. 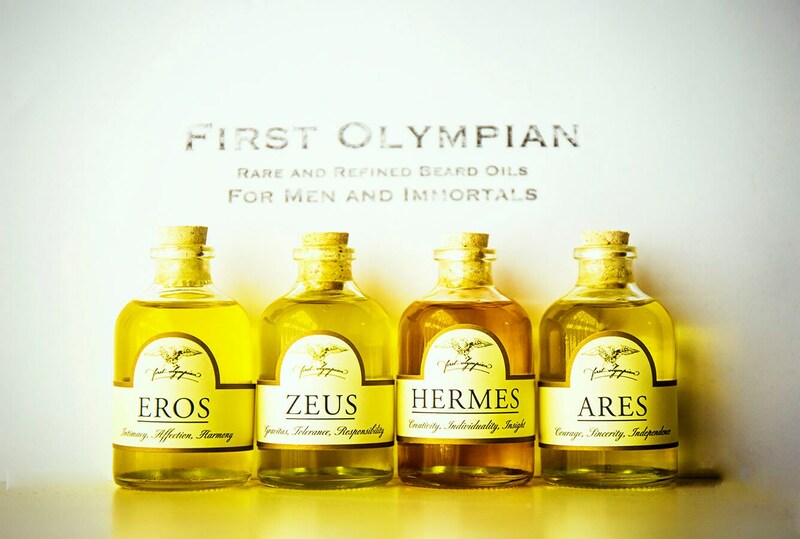 Peerless Zeus: husband, father, king, ruler of Olympus. 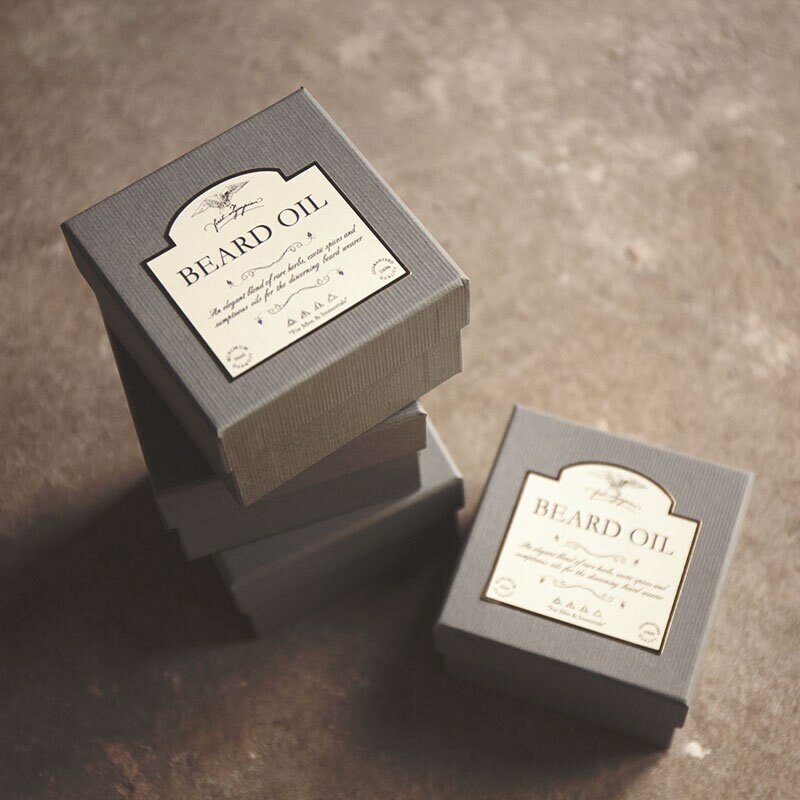 For the man of responsibility and gravitas, Zeus beard oil is an intoxicating blend of Italian lemon, African orchid, petitgrain from Southern France and a host of other rare oils, herbs and spices, sourced from the finest organic growers around the world. 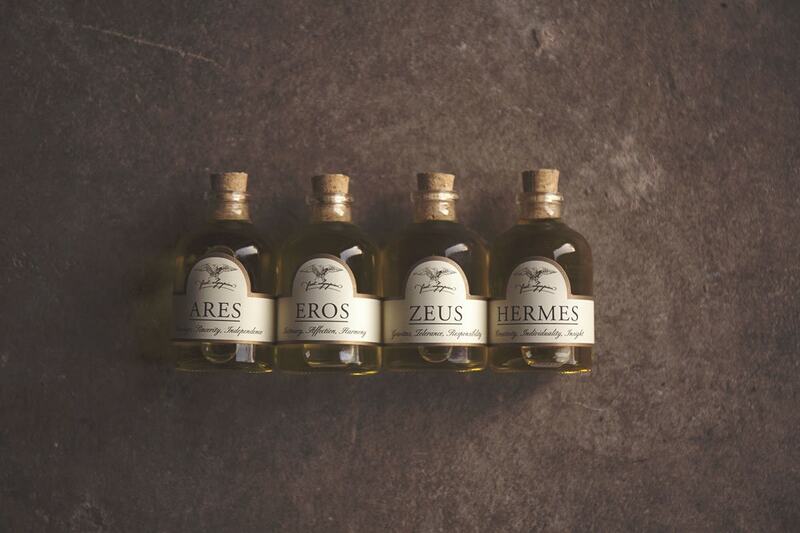 Zeus beard oil is a masterpiece of complexity creating a floral, citrus cologne that is bursting with potential, not unlike Zeus himself. The King of the Gods was the bringer of order and justice. Mature, self-reliant, responsible, but also generous, forgiving and radiating sincerity and warmth. A complex character, reflected in the complexity of this immortal blend. Notes: wildflowers and lemons with a rich and complex hint of spice. Suits: the man of maturity, comfortable in his own company, content to keep his counsel and indulge those he loves. A truly confident cologne. Eros means "desire" and signifies the loving heart of a man who wishes to enjoy the simple pleasures of his life and to share the good in himself with those he holds dear. With finest Sicilian bergamot and lemon, this classic fragrance captures the warmth and contentment of the Mediterranean sun, and with time, deeper musky notes begin to blossom, giving a sense of intimacy and quiet enjoyment of the moments shared with friends and lovers. Key Notes: Bright, vibrant, citrus and sunshine with deep, mellow roots. Suits: Summertime, romantic evenings, time spent relaxing with close and trusted friends.